Independent luxury suite, 45 square meters which can accomodate up to 3 people. 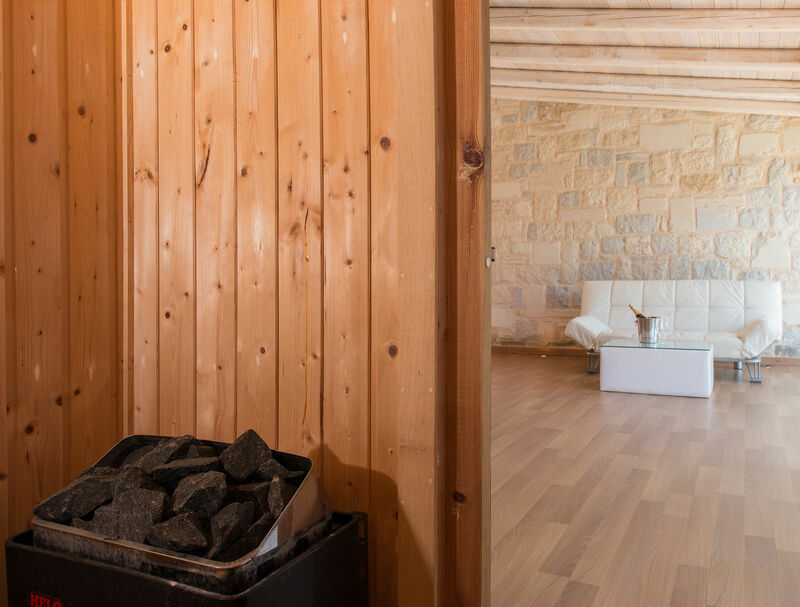 The suite has a double bed, a sauna, a/c, TV, DVD player, coffee pot, private garden with jacuzzi, overlooking the lush olive groves and the sea. Cancellations occurring 21 days before arrival are not charged. If canceled up to 20 days to arrival will be charged 50%. No-show & early departure will be charged with the total reservation cost.